two large sunny furnished three bedroom flats inter-connected by two internal stairways and in great condition. You get six bedrooms, two full baths, two living rooms, two kitchens, two dining rooms and two porches on both front and rear of house. 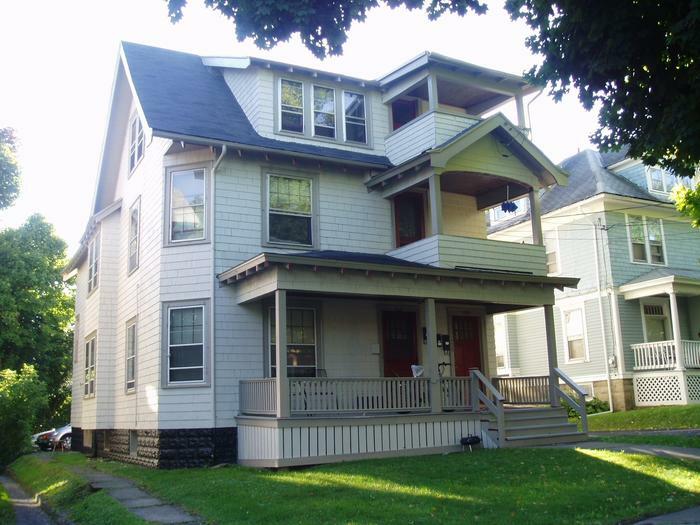 Super convenient location with hardwood floors, porches, fireplace, laundry and parking. This is the way to do a large group rental-lots of common space for gathering but everyone has privacy when needed.